Is the Sony A7S II good for Carrying Everywhere? Sony A7S II has a score of 92 for Daily Photography which makes it an EXCELLENT candidate for this type of photography. It will satisfy all your need in Daily Photography, no need to look further for other cameras. For a camera that you carry everywhere with you, being weather proofed is a big advantage. You will have one less thing to worry about. Large sensor in Sony A7S II ensures a good low light image quality compared to smaller sensor, and it also provide shallow depth of field and a nice blurry background when needed. With relatively smaller body compared to DSLRs and better ergonomics compared to Compacts,Sony A7S IIis a good compromise between size and functionality. 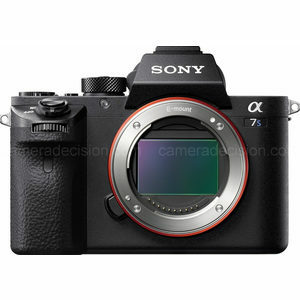 With a thickness of 60mm,Sony A7S II is not a pocketable camera for sure.